At Tampa Asset Management, our purpose is to help you achieve your financial goals by guiding you to investment decisions that we believe are in your best interest, and yours alone. We do that by being independent of the sales agendas and expensive products of large financial companies. 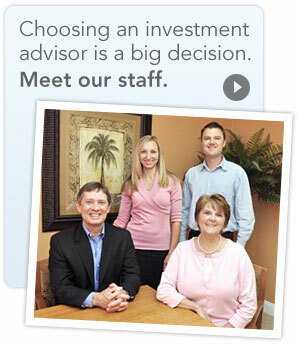 Unlike brokers and insurance agents, we are a Registered FiduciaryTM. RFTM certified professionals are identified as having met the highest fiduciary standard in the financial industry. We provide fee-only advice, which means that we charge a low fee for advice and management, and do not charge any commissions of any kind or promote financial products. Our fee schedule is 1% annually (.25% per quarter) for portfolios of $100,000 to $1,000,000, and 0.9% for amounts above that level. Charles Schwab & Co., Inc. has been selected as the primary custodian for our clients. They hold the accounts, we manage the portfolios. Other low-cost custodians are also available.